The following countries are hiring Filipino workers this month of June. 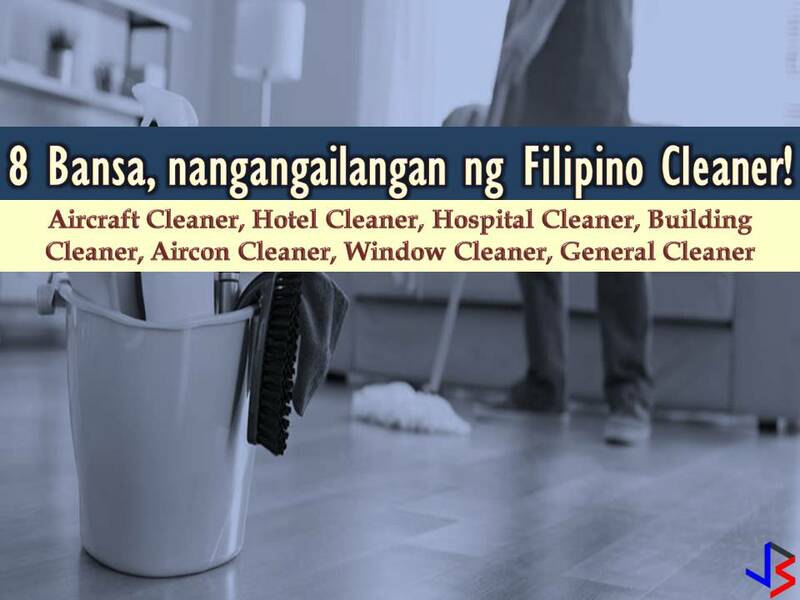 Saudi Arabia, United Arab Emirates, Oman, Kuwait, Bahrain, Qatar, Brunei, Maldives, and Papua New Guinea are in need of Filipino cleaner, both male or female. Cleaners will work as a general cleaner, hospital cleaner, aircon cleaner, window cleaner, public building cleaner, aircraft cleaner, hotel cleaner, and house cleaners.